It’s claimed that Meng, the daughter of Huawei founder Ren Zhengfei, violated sanctions against Iran. Techcrunch reports that she faces unspecified charges in the Eastern District of New York, where she had transferred flights on her way to Canada. She was arrested on December 1 and faces a bail hearing tomorrow. This isn’t the first time a Chinese company has faced consequences for allegedly selling to Iran. ZTE was almost brought to ruin after the Department of Commerce banned all US businesses from selling components to the Chinese manufacturer for seven years in April. The firm had to pay $1 billion as part of an agreement to remove the restrictions. Details of Meng’s alleged wrongdoings are unclear, but it could be linked to her time on the board of Hong Kong-based Skycom Tech Co Ltd. A 2013 Reuters report revealed the company tried to sell HP equipment to Iran in late 2010, and that it had close ties to Huawei. “The Chinese side expresses firm opposition and strongly protests this serious violation of human rights,” said the embassy, in a statement. The incident arrived soon after the US asked its allies not to use Huawei equipment, which the government has long seen as a security risk. 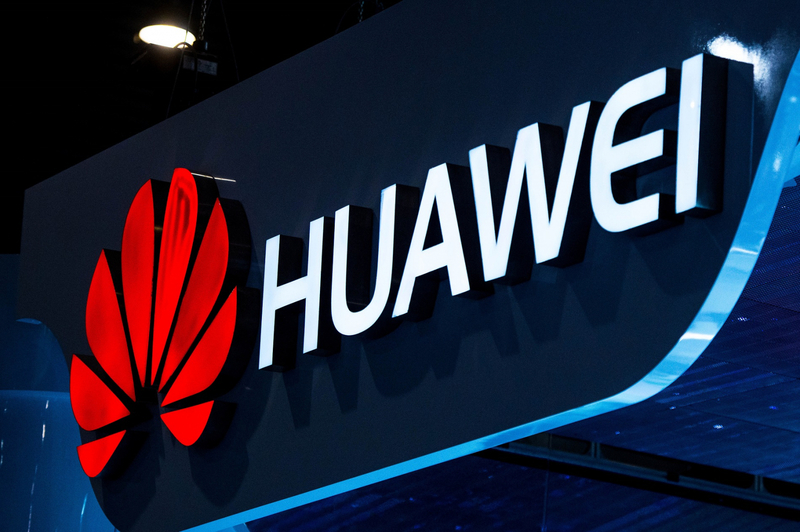 In August, President Trump signed the Defense Authorization Act, which bans US government agencies and contractors from using certain tech from Huawei and other Chinese companies. With China and the US recently agreeing to suspend new trade tariffs, it will be interesting to see how this development affects the trade war. It’s already led to calls for Chinese consumers to boycott Apple products in favor of Huawei phones. Hmm... 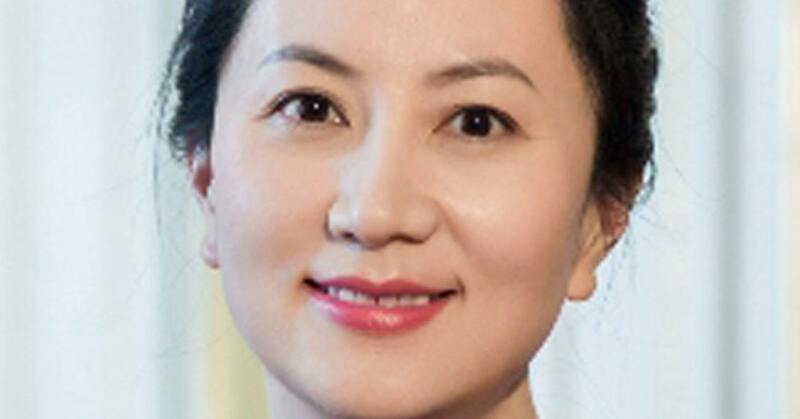 Even if she was involved in in selling to Iran she is not an American and did this while in China. Is Canada going to start being America's ***** and start sending everyone who does not follow American laws around the world to American if they visit Canada? Sounds like a bad idea to me. I can not see this ending well for Canada to get involved in these kinds of situations. If she had broken an American law while in America that would be a completely different situation. However this is more political than anything and Canada getting involved is just stupid. As an added note the US Govt never found any hard evidence against Huawei to backup all the conspiracy rhetoric. The whole thing was driven by US competitors and paranoia. Not to say that I think China is above that kind of thing but that there was no hard evidence about Huawei being involved. Charles Olson, Godel, Carljames and 2 others like this. I like that China's defence is "this is a violation of a person's human rights!" when they currently have somewhere between 800,000 and 2 million people detained in internment camps for the crime of being Muslims. Sorry China, which leg was that you were trying to stand on? Like we're any better. China might be a half century late of farking their citizens over, but we are by far the king of that shiat. petert and xxLCxx like this. I’m afraid, this exactly how I’ve always seen Canada. They are super liberal, friendly to everyone and whatnot – but – when push comes to shove, the tail doesn’t wag the dog. Who's the 'we' in that? America? Not my country, sir! We Brits traditionally either took a place over and subjugated the population to the Crown, or killed everyone. Camps are too much upkeep. But realistically it's usually useless to look at past crimes in the modern context. Saying "we're just as bad" because your country did a similar thing 50 years ago is nonsensical. Your country is only 'as bad' if it still does those things. Otherwise there'd be no cause to stop doing the thing, if doing it and not doing it were morally the same. And *every* country has done bad ****, even peaceful loving nations like Sweden or the Netherlands. Either we judge historically and thus every country and its people are "bad", or we understand that progress can happen and judge based on the customs of the current day. Khanonate, Burty117, Brahman05 and 1 other person like this. “The Chinese side expresses firm opposition and strongly protests this serious violation of human rights,” said the embassy,"
oh that's rich coming from them. Canada needs high standards while in China their human rights violations boggle the mind. The People's Republic's offenses are so numerous and vile it's shocking that we deal with the People's Republic in any way. It's not just Muslims, Protestant churches are banned, and the Falun Gong spiritual movement has been banned since 1999 and its members have been sent to labour camps and prisons, and some have even had their organs harvested. The Chinese government, which already oversees one of the strictest online censorship regimes in the world, limited the provision of censorship circumvention tools and strengthened ideological control over education and mass media in 2017. Schools and state media incessantly tout the supremacy of the Chinese Communist Party, and, increasingly, of President Xi Jinping as “core” leader. Authorities subjected more human rights defenders—including foreigners—to show trials in 2017, airing excerpted forced confessions and court trials on state television and social media. Police ensured the detainees’ compliance by torturing some of them, denying them access to lawyers of their choice, and holding them incommunicado for months. In Xinjiang, a nominally autonomous region with 11 million Turkic Muslim Uyghurs, authorities stepped up mass surveillance and the security presence despite the lack of evidence demonstrating an organized threat. They also adopted new policies denying Uyghurs cultural and religious rights. Hong Kong’s human rights record took a dark turn. Hong Kong courts disqualified four pro-democracy lawmakers in July and jailed three prominent pro-democracy student leaders in August. China’s growing global influence means many of its rights violations now have international implications. In April, security officials at the United Nations headquarters in New York City ejected from the premises Dolkun Isa, an ethnic Uyghur rights activist, who was accredited as a nongovernmental organization (NGO) participant to a forum there; no explanation was provided." From Mao, till now, this is the Chinese government...……. senketsu and xxLCxx like this. I know, I know. I originally wrote "usually" instead of "traditionally" as I know we did it, but traditionally just sounded better. The joke, of course, was not in the literal reading of use of camps. Burty117, senketsu and Squid Surprise like this. Last 50 years? Do you not see the bullshiat going on in the US now? I'm pretty sure you guys know since your shiat tabloids love writing about the US. Ahhh right, the (im)migrant family malarkey. Fair point. To my mind, hearing 'internment camp' twinned with the US, I think of Japanese citizens being held during WW2. Start trade war with China. Profit from stock market dropping like a rock. Start talks with China announcing a 90 days truce. Profit from stock market skyrocketing. Do something to make your relations with China bad again. Profit from stock market dropping like a rock. Do something to fix your relations with China. Profit from stock market skyrocketing. Repeat as much as possible, but stop before others realize what is going on and throw you out of the White House. xxLCxx and senketsu like this. Correction: Most were actually American citizens of Japanese ancestry who were put into those camps. Charles Olson, xxLCxx and senketsu like this. That's the way extradition works. If a country puts out a warrant for your arrest - even if you are not a citizen of said country - and you live in or travel to a third country that has extradition with the first country, you likely will be arrested and extradited to the country the filled the charges. It is a reciprocal system that is designed to prevent people from committing crimes in one country while taking shelter in another. Obviously, like all international relations, sometimes politics interjects itself here. In this case, violating sanctions is a pretty serious crime. With the way sanctions work, if the US didn't arrest her, Canada likely would have anyway. If you violate trade sanctions, every country that agrees to be bound by them usually agrees to also enforce them. Kibaruk, senketsu and Charles Olson like this. The Chinese government doing ANY business with Iran is humerus. Next thing they'll tell us the president of the United States has been secretly doing business with Putin.........? John Stewart quit too early, this stuff is just writing itself. She had not transferred flights in the Eastern District of New York on her way to Canada, as the article states. She had transferred flights in Canada on her way to somewhere else, which is why she got arrested by Canadian authorities and is now facing extradition to the United States. America and the IMF and Federal Reserveare huge bullies and they demand you bully those they want to bully. Economic Warfare is why Americans have enemies. There is nobody desperate to fly thousands of miles to commit terroristic suicide on American land just because "we are free". dj2017 and xxLCxx like this. Finally someone that actually has sense, we are all free to comment and say whatever we want, however the law is the law. Suddenly the Chinese are interested in HUMAN RIGHTS ?